The Clinton campaign keeps teasing real-life Fox Mulders with hints that a Hillary Clinton presidency would reveal the truth about what the government knows about extra terrestrials and unidentified flying objects. In an interview with a Las Vegas TV station published Tuesday, Clinton campaign chairman and longtime Washington, DC, power broker John Podesta said that he has pressed Clinton to "get to the bottom of" of what the federal government knows about aliens and "unexplained aerial phenomena"—ET enthusiasts' preferred term for UFO sightings. 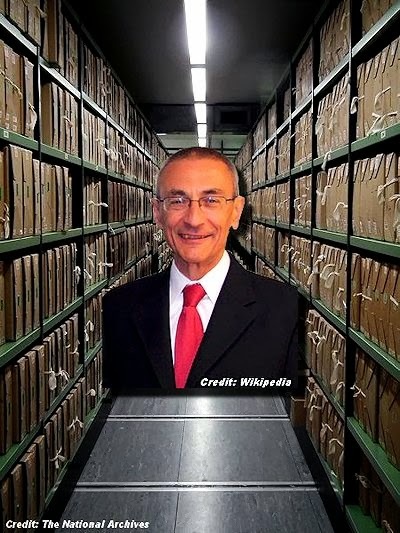 * "I've talked to Hillary about that, this is a little bit of a cause of mine which is that people really want to know what the government knows, and there are still classified files that could be declassified," Podesta said during a campaign stop. "Inside John Podesta’s Head ... Re The UFO Conundrum"